The great teacher of life, Alain de Botton, explains the difference between loving and being loved and why the former seems to be trickier than the latter. Part of the reason for that goes back to what? Childhood. Aha. On top of that, he uses anatomical hearts in his video. So I love him even more. Yes, I am that shallow. Artist Puuung believes that love comes in ways that can be easily overlooked in our everyday lives. That's why she tries to find the meaning of love in our daily lives and transform it into art. 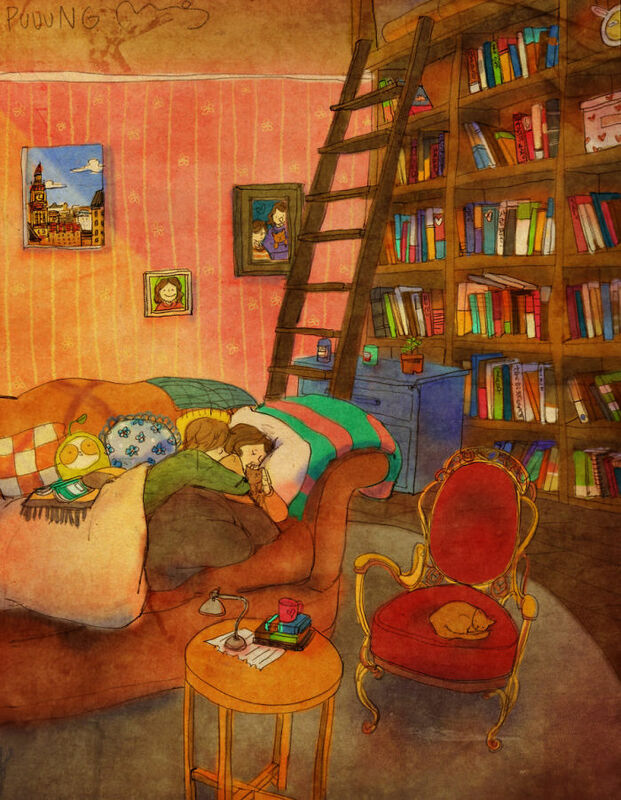 Her illustrations capture the beauty in the small things, in the interaction between two people. It sheds a poetic light on the value in our daily routine, but also on how powerful real touch and presence are. Since romantic love was such a big hit on the last post, here's another one. 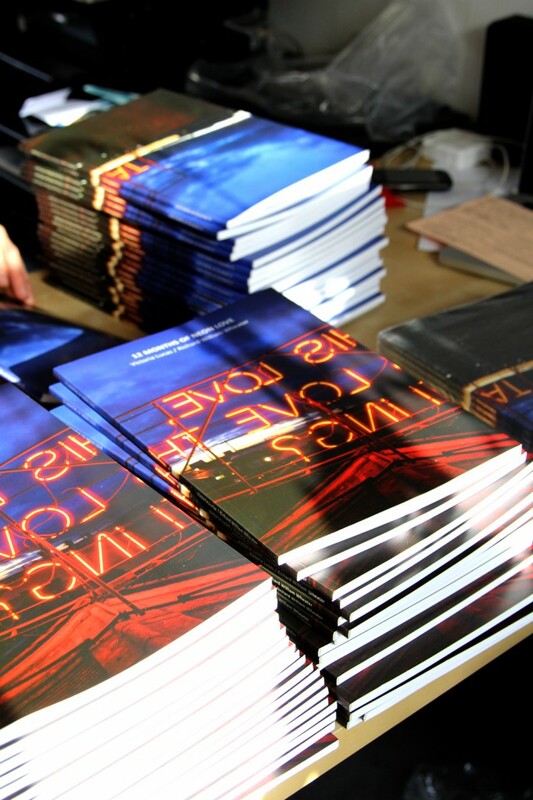 Evol is a fanzine about untypical love affairs, unpopular love songs among other things. Not only is the design by Marta Vargas beautiful, but I really enjoy the fact that it's a fanzine about different and weird types of love, like the love affair between Simone de Beauvouir and Jean-Paul Sartre. Spotted on another lovely blog Cambaleando. Since I don't usually talk about romantic love, I thought that featuring a project like this could be a nice change. 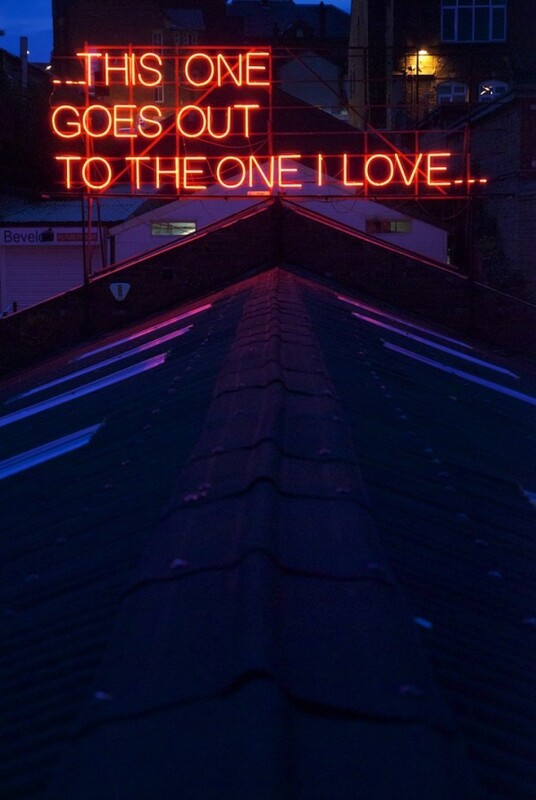 The Project 12 Months of Neon Love was born out of a romantic relationship between two artists; Victoria Lucas and William Wheather. 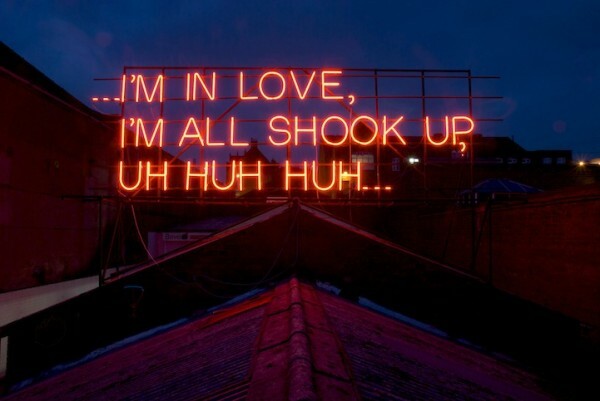 It began on St. Valentine's Day in 2011, with the first lyric from a well-known love song displayed in neon sign from a warehouse rooftop. A sequence of twelve lyrics were presented on the 14th of each following month. After each one was taken down, it was auctioned on Ebay to the highest bidder on the internet. The idea that moved both artists was to talk about such a complex feeling, as love is, in a universal way that could touch the everyday lives of the audience passing by. 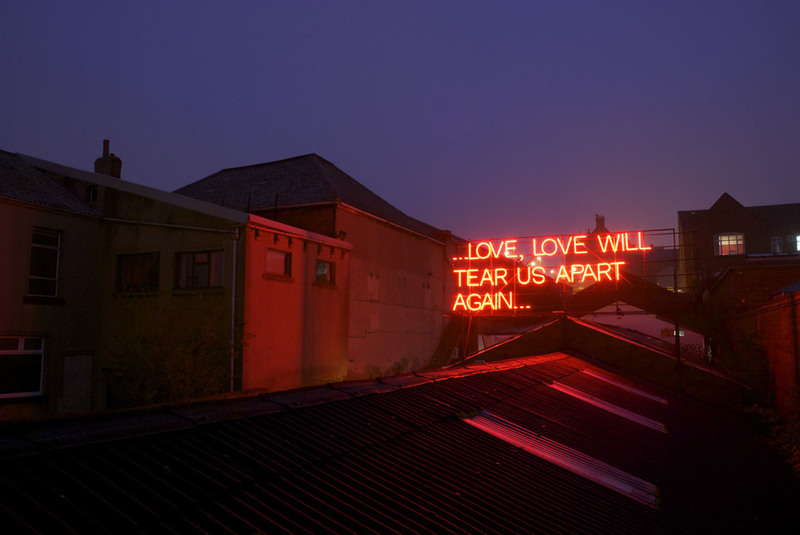 The lyrics picked featured the many configurations of love; such as expressions of intimacy, adoration and heartbreak from songs like "Love will tear us apart" from Joy Division and "Drive my car" from the Beatles. Nowadays, pretty much anyone has a story of cancer in a nearby relative or friend. It is no longer an unfortuitous event for some, but a rather common place for most. That does not, however, in any way, make this disease easier to bear. On the contrary, we are more and more bewildered by the tragic effects and recurrence of it in our lives. Today I was moved by one man's support for his wife's battle against breast cancer. 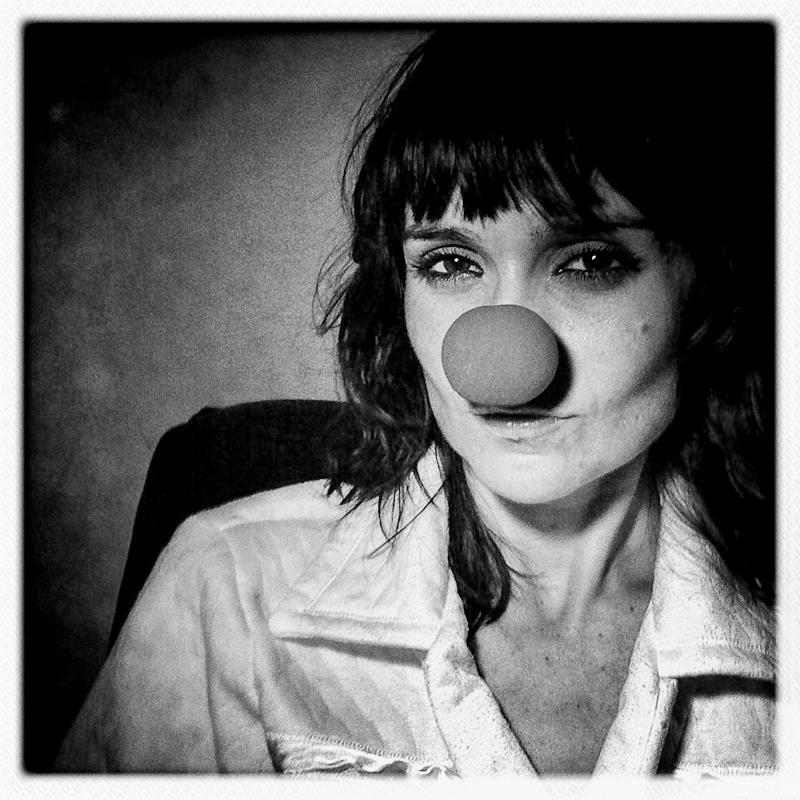 He photographed their struggle fighting the disease, a fight which was eventually lost in December of 2011. I was moved by Angelo's love for Jeniffer and also by the love movement he started by being by her side, fighting with her and showing their story. By sharing their lives not only did they receive massive support, but also helped humanize the face of cancer and bring more awareness to struggle faced by patients. 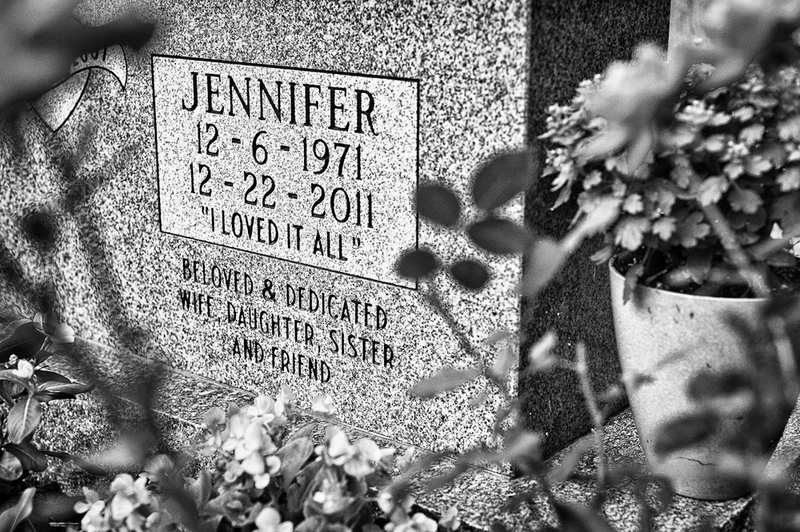 You can see Angelo's beautiful pictures on My Wife's Fight With Breast Cancer and see how he continues to tell Jeniffer's story to the world, even after she's gone. 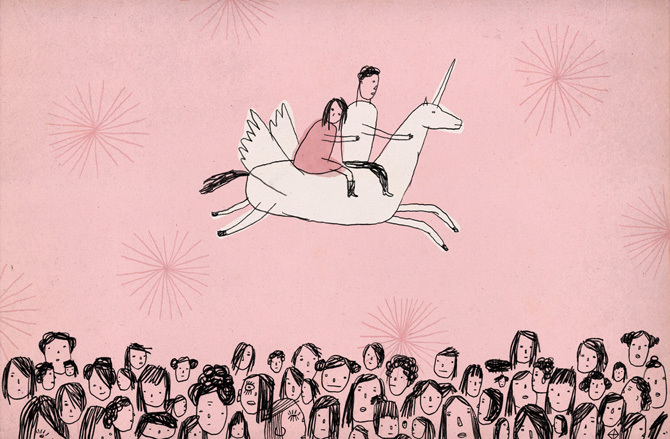 Modern Love is a series of illustrations made by Brian Rea for the New York Times SundayStyles column on love and heartbreak.